What a beautiful bowl. It's been ages since I've had a chance to visit Mary, I hope you've had a great summer. My mom used to collect chinese bowls and kitchenwares. we still have it until now. Very nice shot! 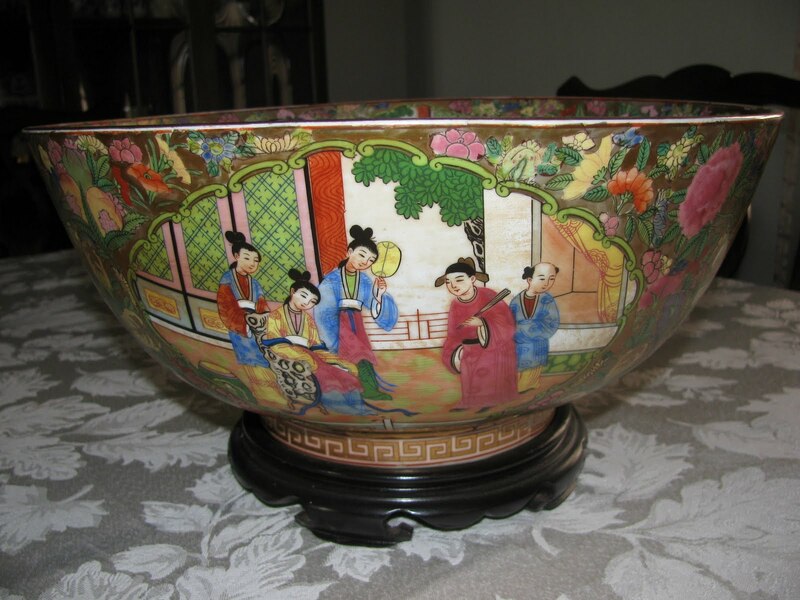 And wonderful Chinese bowl! This is a beautiful bowl! I love all chinese thing.This bowl is beautiful. That's a beautiful bowl ! A stunning piece of artwork! Magical detail of the little figures! Oh my, what a beautiful little bowl. I love it! Wonderful detail. Great shot! Thanks. It's a beautiful bowl. Happy RT! What a pretty bowl. Happy RT! Beautiful bowl, and I like the tablecloth, too! A lovely bowl. Must have been a lot of work to paint it. Such detailed paintings. I love looking closely to find all the vignettes in these decorations. I love your entry today. It reminds me of some of the beautiful displays at San Francisco's Asian Art Museum. this time complete with poetry!! I only had a tiny bit of red to post this week, but your post was so beautiful! Love that bowl. I love Chinese stuff, bowls, teapots, vases, figurines... I just love them all. Your Chinese bowl is lovely!